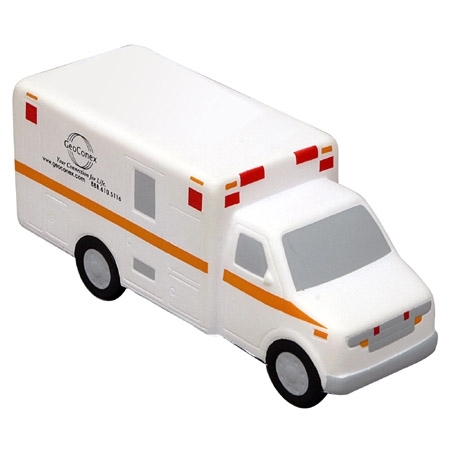 Ambulance Stress Ball here in case of an emergency. 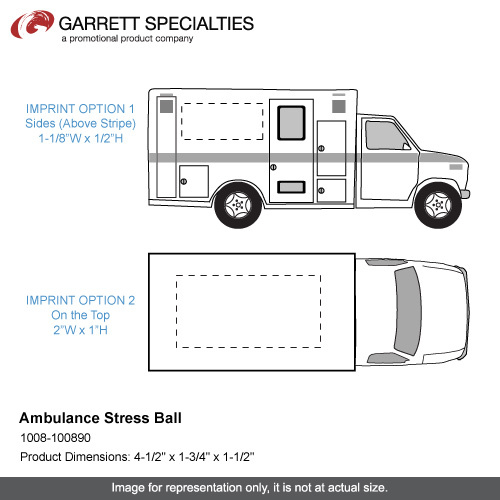 Ambulance Stress Balls are made of squeezable polyurethane foam. Bulk / 25 lbs / 300 pcs. / 22" x 15" x 14"box. Imprint Area: 1.12" x 0.5"
Imprint Area: 1-1/8" x 1/2"